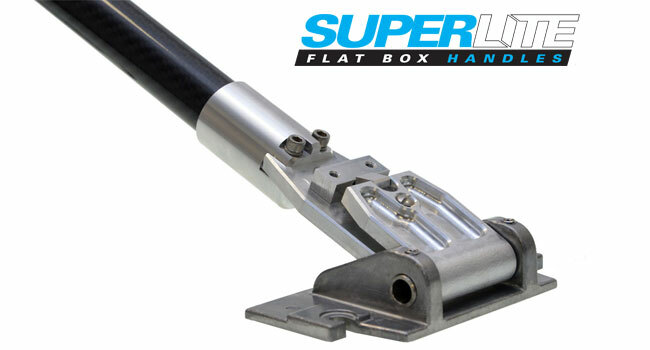 As previewed in the December eNews, Tapepro has introduced a new range of flat box handles: The SuperLite series. These handles feature an industry first – carbon fibre tubes! Coupled with a hollow pivot pin and extra CNC machining on the head, the new handles really are SuperLite!